In today’s housing market, it is very critical that Lakeland home sellers and buyers understand the housing market and more importantly understand absorption rate. First and foremost and realistically, there are only a certain number of homes that will sell in any given period. While absorption rate is not an exact science, the key to you selling or buying a Lakeland Florida home understands the local real estate market and trend providing you with a clear vision when it comes to making an informed decision. Housing economists and experts use the absorption rate in real estate to predict the housing market, while Lakeland Fl sellers and buyers may heard the phrase through the media but really don’t know what absorption rate represents. Since April 2009, appraisers are required to use absorption rate for all government loans. To simply define absorption rate in Lakeland Florida, it is the number of months it will take to sell all homes for sale. For example a 12 months supply would mean that at the current rate of sales and no additional homes coming on the market, it would take 12 months for the inventory to deplete. 2301/12 = 191.75 average monthly home sales – 2375/191.75 = 13.83 months housing supply. Just like in any industry, supply and demand play an important role. If the demand is slow coupled with increasing supply will give you lower prices that results in a buyer’s market. Likewise, if supply is limited, homebuyers will typically pay more for the home – seller’s market. When it comes to calculating the absorption rate for a local Lakeland neighborhood, it really brings the local housing market for sellers and buyers into perspective, especially within a specific neighborhood/community. For sellers, it will define the market in how to price the home realistically when comparing their competition with the result of a faster sale. 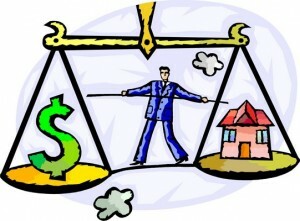 For the buyer, the absorption rate can provide a negotiation tool to obtain a lower price. Stay tuned for my next blog when I’ll show how absorption rate affects in determining a price for a perspective Lakeland home seller within a neighborhood.